What should likely be the most exciting game of the weekend will be on Sunday when the Los Angeles Chargers take on the New England Patriots. New England had a first-round bye but returns to the playoffs after earning the AFC East title. The Los Angeles Chargers entered is a wildcard team, going 12-4. They defeated the Baltimore Ravens in the first round of the playoffs, 23-17. The Los Angeles Chargers defense should completely dominated the Baltimore Ravens for much of their first round matchup on Sunday, holding the Ravens to just three points through the first three quarters. However, it would take one last impressive stand, forcing a fumble to seal the victory as Los Angeles advanced, 23-17. The defense was quite impressive, holding Baltimore to just 11 first downs and 229 total yards of rushing. Melvin Ingram led the way with seven tackles and recorded to sacks, including a fumble that turned the ball over, ending any chance Baltimore had for victory. The Chargers had seven total sacks in the game. The Baltimore defense was able to hold the Chargers offense to just 243 yards, including 89 on the ground. However, Los Angeles has some punch in their offense. Veteran quarterback Phillip Rivers threw for 4308 yards this season and 32 touchdowns. He was intercepted just 12 times this year while completing 68.3% of his passes. Melvin Gordon rushed for 885 yards and 10 scores despite missing five games this season. Gordon also had 490 yards receiving and four touchdowns. Los Angeles is averaging 26.5 points per game while allowing 20.4 per contest. The offense averaged 365 yards per game while the defense allowed 327.5 yards per contest. The New England Patriots making the playoffs is no longer a new story. For the 10th straight time in the 15th out of the last 16 seasons they won the AFC East. Now the team looks to advance to their eighth straight appearance in the AFC championship game, a remarkable feat in any sport. The Patriots were 9-3 before consecutive losses to Pittsburgh and Miami had many wondering if this team was simply too old. However, victories over Buffalo and the Jets to close out the season helped secure the No. 2 spot in the AFC and a first round bye. New England had a number of impressive victories this season, including beating Houston on the first weekend of the year, 27-20. They were the first team to defeat the Kansas City Chiefs, 43-40, plus they beat the Chicago Bears, Green Bay Packers, and Minnesota Vikings. 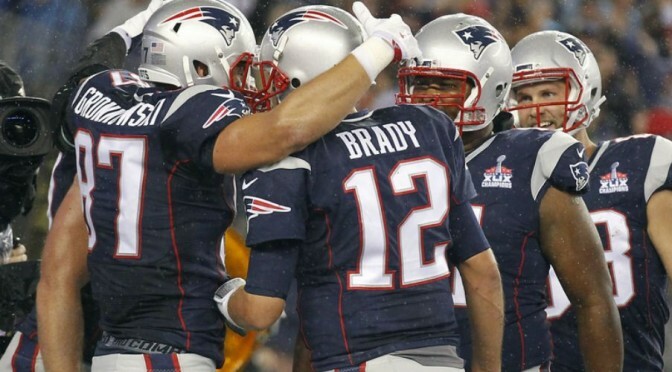 The New England Patriots are only going to go as far as star quarterback Tom Brady will take them. Brady had another impressive season, throwing for 4355 yards and 29 touchdowns while tossing just 11 interceptions. He completed 65.8% of his passes. However, Brady has some help in rookie running back Sony Michel, who rushed for 931 yards and six touchdowns off 209 attempts. Five receivers had at least 532 yards, including Julian Edelman who led the team with 850 yards Receiving. New England average 27.3 points per game while allowing 20.3 per contest. Their offense produced 393.4 yards of offense per game on average, while the defense allowed 359.3 yards per game. 5-1 ATS in their last six playoff games on the road. 5-2 ATS in their last seven games. 5-1-1 ATS in their last seven games in January. 6-1 ATS in their last seven divisional playoff games. 4-1 ATS in their last five games in January. 7-3 ATS in their last 10 playoff games. This is the third time in the illustrious careers of Brady and Rivers that they have met in the postseason, with Brady winning the last two, including in 2008. New England has won the last four meetings between these two teams and the favorite is 4-1 ATS in the last five meetings between these two teams. This should be a close contest, as the Patriots are only favored by 4.0. Los Angeles has proven all season that they are an elite team in this league, but the cards are stacked in favor of the Patriots. They had the first round bye, are at home, and are well rested. Those are things that are going to be hard for the Chargers to overcome. The total is set at 45.0. In the last six meetings between these two teams, the total has gone under in five of those games. The two teams are averaging 54 points per game combined while allowing 41 per contest. Clearly oddsmakers see the defenses having a big day, but we don’t. Look for New England to win, 35-17.